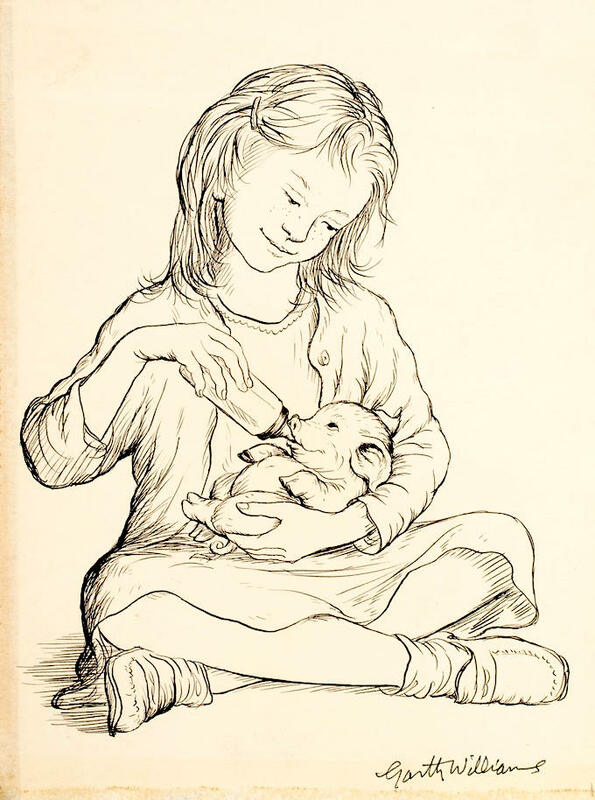 Elwyn Brooks White was born in 1899 in Mount Vernon, New York, and grew up with a love for books and animals. At Cornell, he edited the university newspaper while completing a Bachelor of Arts degree and after graduation worked as a reporter and advertising copywriter. When the The New Yorker was founded in 1925, White submitted manuscripts, and the new literary editor, Katharine Angell, recommended he be hired as a staff writer. After months of trying to convince White to come in for a meeting and work on the premises, they finally agreed he would come in on Thursdays. Four years later, he and Katharine were married. E.B. 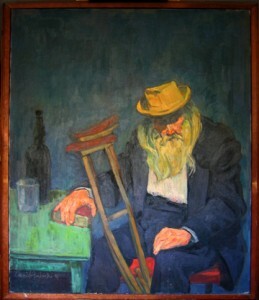 White would contribute essays, wit and humour pieces to The New Yorker for almost six decades, including feature dispatches on literary style. He also wrote a column for Harper’s Magazine and, in 1959, edited and updated The Elements of Style. First written and published in 1918 by White’s professor at Cornell, William Strunk Jr., it remains the gold standard guide for grammatical and stylistic writing in American English. In 1933, White (or Andy, as he was called) and Katharine bought an 18th Century farmhouse on 44 acres along State Route 175 in Brooklin, Maine. Perched at the edge of Allen Cove, a small inlet on Blue Hill Bay, they summered there with their sons, Joel, who would grow up to be a boat builder, and Katharine’s son from her first marriage, Roger, who would become the fiction editor for The New Yorker. In 1937, the Whites made additions to the house, adding chimneys so they could live there year-round. With views of Acadia National Park in the distance, Katharine tended to the gardens and a pond and continued her editing work in the sunlit rooms facing the bay. 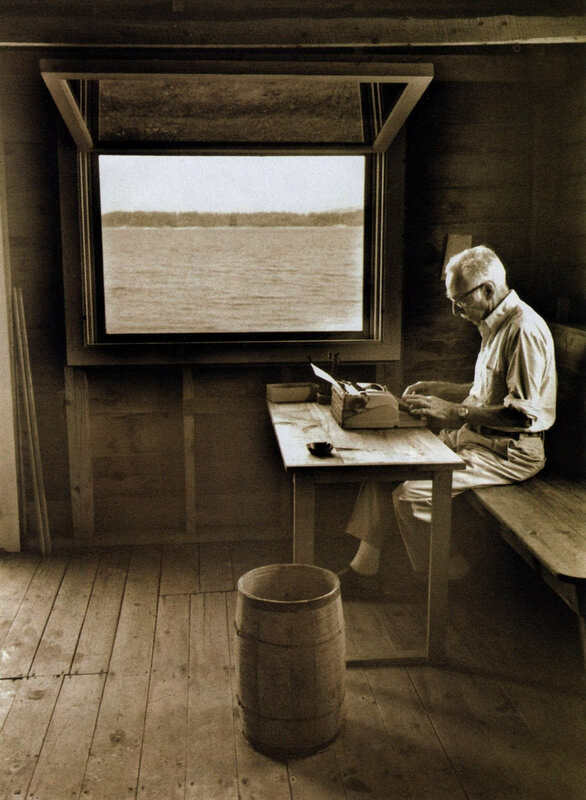 Andy set up an office in the north-facing part of the house and made the boathouse into a writing shed, setting up his Underwood at a table and bench with a barrel nearby for paper waste. The house’s massive barn with rope swing, milking stool and hayloft served as the inspiration for E.B. 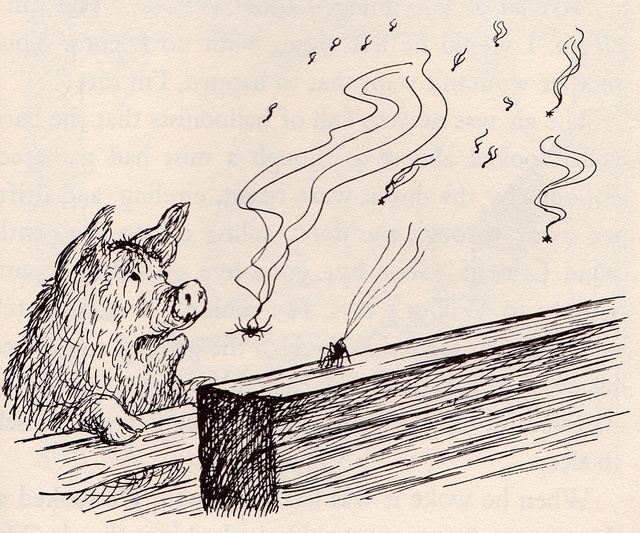 Whites’s 1953 children’s novel, Charlotte’s Web. When suggestions were made that he give the house a name, Andy argued that it would be pretentious, wanting only for his home to be lived in and worked in and enjoyed as a family place. If he absolutely had to, he said, he’d have called it, “Two Big Chimneys and a Little One.” E.B. White died in 1985 of complications from Alzheimer’s disease in his house at the age of 86. He’s buried beside Katharine in Brooklin Cemetery. Dearest Sara, thank you even more than normal for this delightful column today. Growing up with The Elements of Style in school, both loving and hating it at times as my various teachers used it to improve my writing, I knew nothing about E.B. White until today. How do you keep investigating and discovering such great tales of creative people in all walks of life? It is beyond me, especially since you also are doing your own work, too. Quite simply, you enrich my life and the lives of many other people, and I am most uncommonly grateful to your dear father and you for this work. Sometimes your columns are just the shot of joy or inspiration needed to make getting started each day on the current painting more exciting. THANK YOU! Ditto charla van vlack and Steve Clement. I so agree with Mr. CLement! Thank you for keeping the tradition of this wonderful post. Your dad was delightful! So are you! I too think that Steve Clement has said it perfectly. Many, many thanks… to him, to you and to your father. do you live in Delaware or not? Mr. White is a fascinating writer. For insights (and amusement) into his thinking read One Man’s Meat, a compilation of essays that have been published. memories of my childhood. Thank you for this background information so lovingly written. In today’s world, your columns are a note of humanity. So valuable and particularly this one. Thank you. “All that I hope to say in books, all that I ever hope to say, is that I love the world.” (E.B. White). What a wonderful quote from E.B. White. This is my intent for creating my art; to show the world how I love it with all it’s fascination, beauty and mystery. 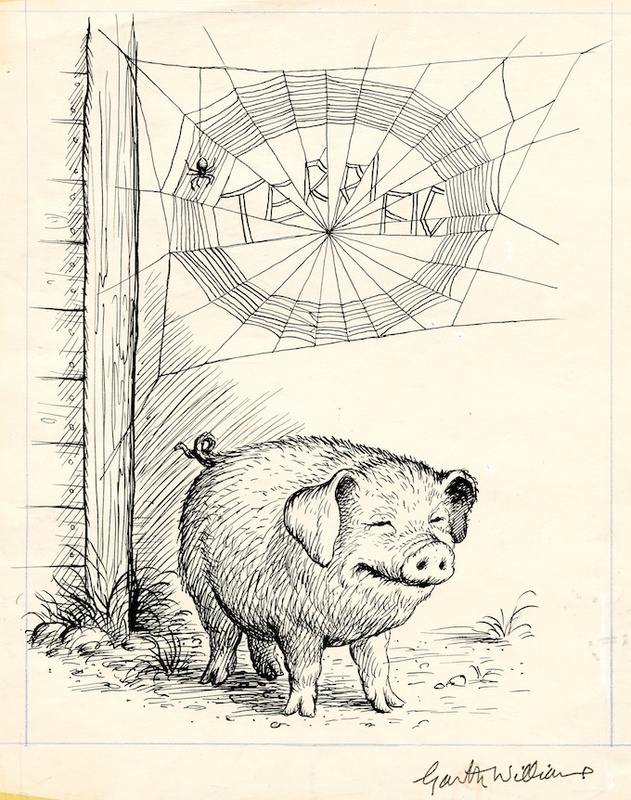 My children and I read “Charlotte’s Web” many times while they were growing up. Thank you, Sara, for your article with the pictures. Thanks as ever for your terrific thoughts and your Dad”s. I am wondering if you know who took that wonderful photo of White in the boatshed?